Seats 56 (private room, 20). D daily 5.30-10.30; L Wed-Fri, 12.30-2.30 & Sun all day 1.30-10.30pm. Set L €9.95; early bird D 5.30-7.30pm €19.95, also a la carte. Children welcome (high chair, childrens menu). Air conditioning. Closed 24/25 Dec, Easter Sun. MasterCard, Visa, Laser. You can’t miss this restaurant on the western side of Athlone, near the castle. Its vivid yellow exterior walls on two sides of a street corner and red doors and windows make it a beacon for hungry diners. 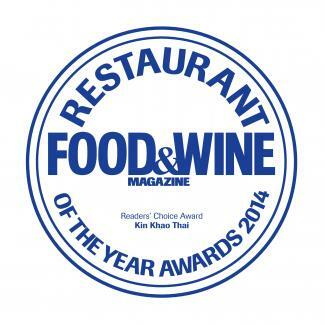 Kin Khao Thai is run by Irishman Adam Lyons and his Thai wife, Janya. Janya’s family is steeped in the restaurant and food tradition – her grandmother opened a restaurant in northern Thailand and her parents own restaurants and butcher shops in Bangkok – so you know you’re in for a real treat here. Their restaurant has a foot in two worlds – the chefs are all Thai but almost all the ingredients are Irish. All meat, poultry and seafood are Irish and they use local suppliers as much as possible, including vegetables. The menu offers a comprehensive range of starters, soups, salads, curries, stir-fries, vegetarian dishes, rice and noodles as well as a selection of Janya’s favourite dishes. Whether you’re looking for a creamy coconut curry from the south or a sharp, spicy dish from the north, you’ll find it here. Flavours sing with fresh herbs, chillis and spices. The paneang curry, for example, is rich and creamy but not heavy, shot through with bright flavour from the Thai basil, kaffir lime leaves and a slow-burning kick from the chillies. Sautéed beef with peanut sauce is one of Janya’s favourite dishes and is lifted by the snap of fresh vegetables. There’s also an intriguing selection of desserts, such as the popular sticky rice with Thai coconut custard, banana fritters or sweet pumpkin in coconut cream. A good selection of wine and craft beer, including a few Irish ones, rounds off the menu perfectly. With such excellent cooking and so much choice, your only regret will be having to choose just a few dishes from such a tempting menu. You might skip the starters, most of which are deep-fried, and order a selection of complementary and contrasting main courses instead, as they are the real stars. Offering an express lunch menu, an early bird or set menu, dinner and a takeaway service provides plenty of options. The express lunch is especially good value at only €9.95 for two courses. This remains one of the best Thai restaurants in Ireland; outstanding, authentic food, cheerful service and good value make Kin Khao Thai well worth a detour off the M6 if you’re travelling through the Midlands. 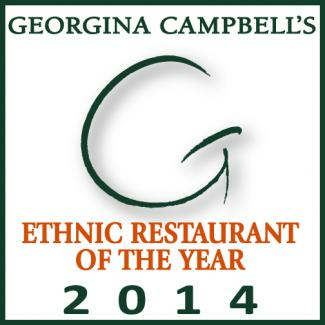 it is deservedly popular and reservations are strongly advised.